"Black fan screws, pretty simple. The black doesn't rub off like a lot of cheap blackened screws. " 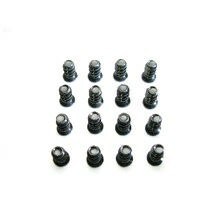 Click the button below to add the 5*10 Black Fan Screws (10 Pack) to your wish list.